Sport, culture, nature. 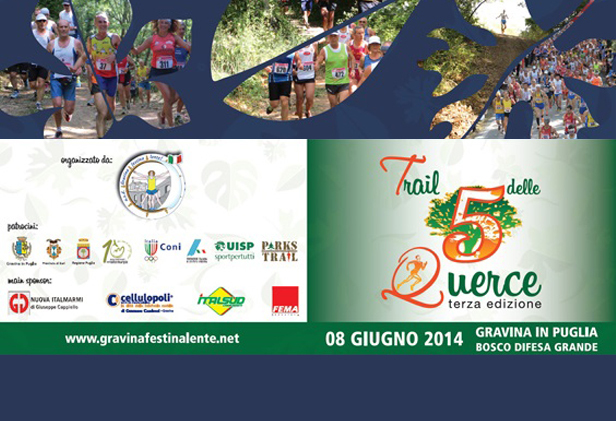 Macnil joins at the II edition of the “Trail of 5 Oaks”, Sunday, June the 9th in Gravina in Puglia. It’s the adventure that links us inextricably to the Gravina land, the landscape heritage and sports enthusiasts like us. 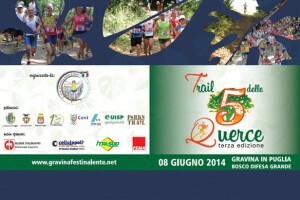 Macnil is once again sponsor of ASD Gravina Festina Lente (Sport Association) in the race which attracts hundreds of runners from all over Italy through the trails of the forest “Defense Grande” in a course of 19 km. A unique experience of 5 varieties of oak trees that make up this unique natural scenery (turkey, farneto, fragno, holm oak, oak). On the occasion of the sporting event, Macnil provides its technology to measure the performance of athletes participating, tracing speed and locating the positions of the runners. The Trail of 5 Oaks, in fact, use the “Remote Power Angel,” a Personal Tracker devices small sized with integrated antennas and battery, tracing the routes on maps accessible online via PC, tabler or smartphone, transmits data at up to 1 minute. It is ideal not only for athletes in the measurement of performance, but also for the safety of children, the elderly and even animals. To understand better what Remote Angel is click here!